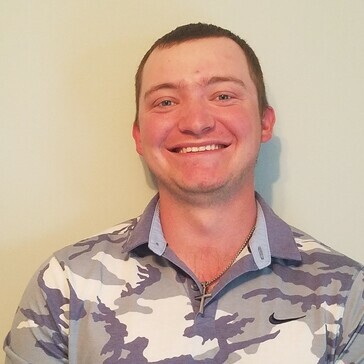 Kevin (some of his players refer to him as “K-MART”) is a 2018 graduate of the PGA Golf Management program at North Carolina State University. He began his teaching career as an intern at 1757 for several months in 2016 before going back to finish school. His first full-time job as a golf instructor was in Greensboro, North Carolina working under PGA Professional Rick Murphy, a two-time Carolinas Section Teacher of the Year. There he gained valuable insights about the golf swing and player development practices. Kevin is also Titleist Performance Institute (TPI) Certified, possessing the knowledge to improve your golf swing based on what everyone’s body is capable of doing, and can prescribe functional movement and strength exercises to produce the most efficient golf swing possible for each individual golfer. Kevin is also certified with Ground Force Mechanics from Boditrak Sports, effectively using the ground in your golf swing to lower scores. Kevin’s specialty is with junior golfers, as he is a US Kids Certified Coach and knowledgeable of the Positive Coaching Alliance (PCA). In his teaching career, he has already had many students find success on and off the golf course. His students have competed and succeed in various junior tours in North Carolina, US Kids Local Tours, and the Drive, Chip, and Putt competitions. You can follow his Instagram account @kmartgolf for tips on golf, training, and life in general. He’s excited for the opportunity to return to 1757 and develop young athletes on and off the golf course.